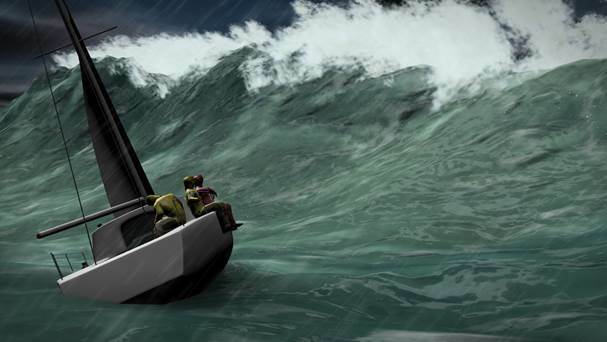 Geomatrix recently completed an animated video illustrating an incredible feat of seamanship by the crew of the Midnight Rambler. The 35’ yacht negotiated 70’ waves and 100 mph winds to win the infamous 1998 Sydney to Hobart Race. Geomatrix 3-D Animator Tom Coben recreated the physics of the massive breakers as well as the texture of the foaming crests to illustrate this dramatic undertaking. The intrepid crew of the Midnight Rambler sets off again for the 2013 edition of the epic Sydney to Hobart Race on Boxing Day (December 26th) and we’ll be rooting for them.